Measuring social media marketing ROI for B2B companies has never been easy. The struggle is in tracking ROI beyond the usual likes and followers. These metrics are half measures — they hardly ever go far enough! Available statistics show that more than 80% of people who like a Facebook page never return to view it again. To truly measure your success with B2B social media marketing, you must monitor your engagement, reach and conversions. Anything short of this would be inadequate to show you whether you’re succeeding or not. Social media marketing goes beyond posting on social media sites. If all you do is post a picture or a video on social media and then wait to see results, you will be frustrated. Before anything else you must understand your goals. What do you aim to achieve? What will a successful social media campaign look like for your business? Take time to clearly define every goal you hope to achieve. Increasing sales – the majority of B2B companies seek to increase their leads and ultimately improve their sales. Decreasing costs – the aim here is to increase conversions while using the lowest possible cost. Improving the experience of the customer – by making the customer happy, a B2B company increases the chances of getting repeat sales from businesses it has worked with in the past. A good example of a brand that clearly understands its social marketing goals is Microsoft. As a result, they know exactly what platforms to put their greatest efforts in. 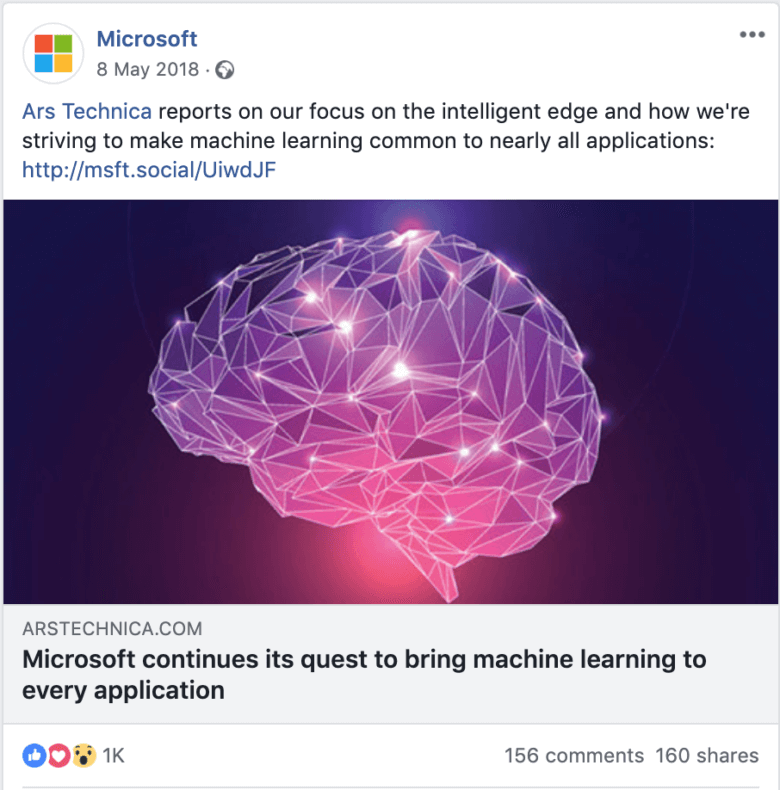 Microsoft often uses Instagram to tell its followers about the communal projects it is undertaking, as well as share photos and videos of the new technologies it is working on. We’re exploring the future of manufacturing this week at #HM18. Meet YuMi® from @abbgroup. It uses #AI and the cloud to make intelligent decisions on the factory floor. This machine can thread a needle or build a box. Double tap to shake hands with YuMi®. As you can see, there are many things to track, many metrics to keep your eyes on. So, how do you decide what to spend most of your resources tracking? You make this decision based on the type of company you have and the results you hope to attain at the end of your B2B social media marketing campaign. 3. Reach – how many people did you impact with your message? This is usually a good place to begin: quantify the number of brands you have impacted with the social media content you have shared. If no one notes it when you post something on social media, then you should know that something is very wrong with your approach. By taking a look at the impressions you are getting, you can see a general picture of how many people are interested in your business proposition. The lower the number of impressions, the less inspiring your social media content. Your can order your content by Reach with Hopper HQ Analytics to know what type of content is going the furthest. After developing all the tools you need and the analytics capabilities that will help you measure your ROI, set up tracking for both your social media platforms and all the campaigns thereof. Constantly compare your results across the various social networking sites. Crunch the numbers; find out how many website visitors you are getting from Facebook compared to Twitter, Instagram, LinkedIn and other social media websites. Go beyond the superficial look at the social media campaigns to see how you can use the data you are gathering to better your future campaigns. In the event that engagement level is low, rethink the existing plans to see what can be done to achieve better results. Remember, for B2B companies, your focus should be on engaging with business executives and decision makers in various companies. If your message is not resonating with this group, it must be dropped and another better one formulated to replace it. Not all traffic is equal. Based on the results the traffic brings your business, some traffic types are more helpful in advancing your B2B social media marketing cause than others. If your company has an ongoing pay-per-click marketing campaign, it is important to keep tabs on the cost of such a campaign vis-à-vis the results the campaigns bring your business. This data is also often helpful to social media marketers; it helps them understand the existing cost of conversions and figure out how they can record better numbers through social media. For instance, the social media marketer could decide to incorporate paid tools like Social Growr if they believe that doing so would speed up the growth of the company’s Instagram page, increase traffic from this social site and still spend less than the existing pay-per-click marketing initiatives. Using these insights, the company is able to continuously adjust its marketing initiatives to better target the businesses and business executives best positioned to use its services. 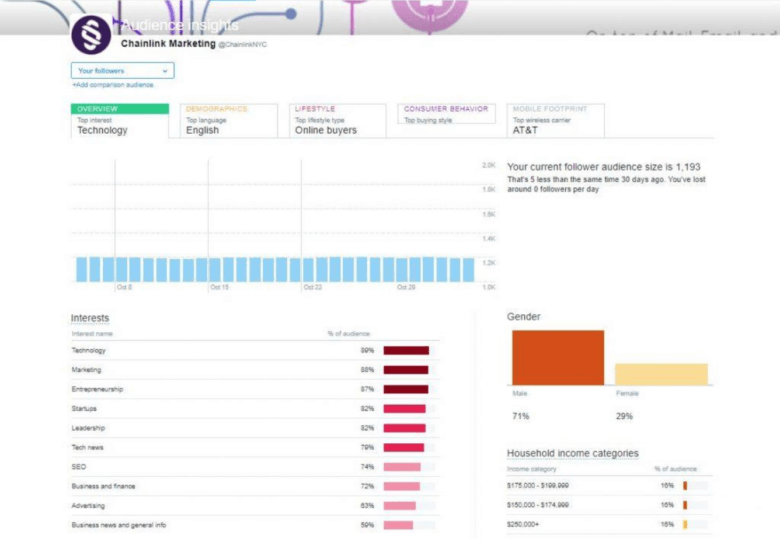 Using insights into its audience’s household income and education level, the company is able to tell what exactly is the value of the traffic it is getting from Twitter and formulate ways to increase this value. The advanced technology that many social media marketing experts now have access to has made it possible to implement closed-loop analytics. While the phenomenon is still quite new, digital marketers who have taken this approach are gaining a deeper understanding of the level of success their social media campaigns are bringing them. Unlike yesteryears where this information was hard to come by, today’s web technologies can tell you a lot about every one of your website visitors. And given how rare it is for a first time visitor to a B2B website to convert, many companies in this space spend the biggest chunk of their advertising budget on retargeting. Today there are various tools that can help you keep track of these potential customers, and follow them across the web until they finally convert. All the while monitoring the path the customer took until they finally bought your product or service. A common approach to B2B social media marketing is using your website as a hub for which everything you publish on social media comes from. This allows you to see how convincing your messages are on social media, driving people towards visiting your website. To find out the rate of conversions, digital marketers include special pages that someone who completes an action is redirected to. The traffic these special pages receive is a direct indicator of the number of people taking action based on your marketing campaign messages. Google Analytics is an excellent tool in tracking conversions. By setting up goal tracking on Google Analytics, you can keep tabs on every conversion activity you have, including webinar registrations, content downloads, online sales, form completions and phone-in leads. Using the data you obtain here, you can see how effective your marketing messages are and consider changing them to see how the numbers change! From choosing the right social networks to create brand profiles and maintain a presence in, to creating the right content for each social platform, all marketers must seek to create a strategic B2B social media marketing strategy centred on increased engagement and improved conversions. Social media watchers predict that social media will continue to play a key role in marketing initiatives in the B2B space. Therefore, you should create a marketing plan that incorporates regular reevaluations of the campaigns you are running and the content you are sharing, so that you can make the changes needed to give you better results. Make maximum use of the analytics dashboards that each social networking platform provides and look for other advanced ways to evaluate your social media efforts. Ultimately, it is the combination of different methods and tactics of social media success measurements that will give you deep and clear insights into the impact each of your actions is having on the level of success your B2B firm is achieving through social networks. Marquis is a writer, social media manager and SEO content marketer. She currently lives on the coast of Ecuador, working remotely as a freelancer. Her primary focus is on building online visibility of new, up and coming brand, particularly brands that promote health and wellness. She lives a nomadic lifestyle, though is originally from California. 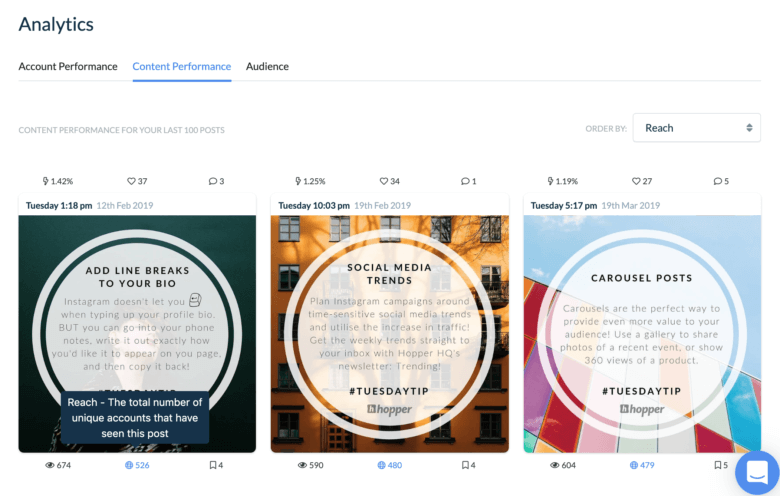 Hopper HQ is a visual planning and management tool for Instagram, bringing back the creativity to social media scheduling and freeing up more time to focus on the areas of marketing you love most. Sign up for a free 14 day trial today.